Greetings from Salem, IL., where I’m conducting a 6-day meeting, speaking currently on “The Steps of Paul.” There has been little time for posting this week, partly due to limited internet access, and also a death in our extended family (my wife’s aunt) that involved unexpected travel this week. This is farm country, with lots of corn and soybean approaching the time for harvest. Earlier on July 28 I did a post on Rhodes. 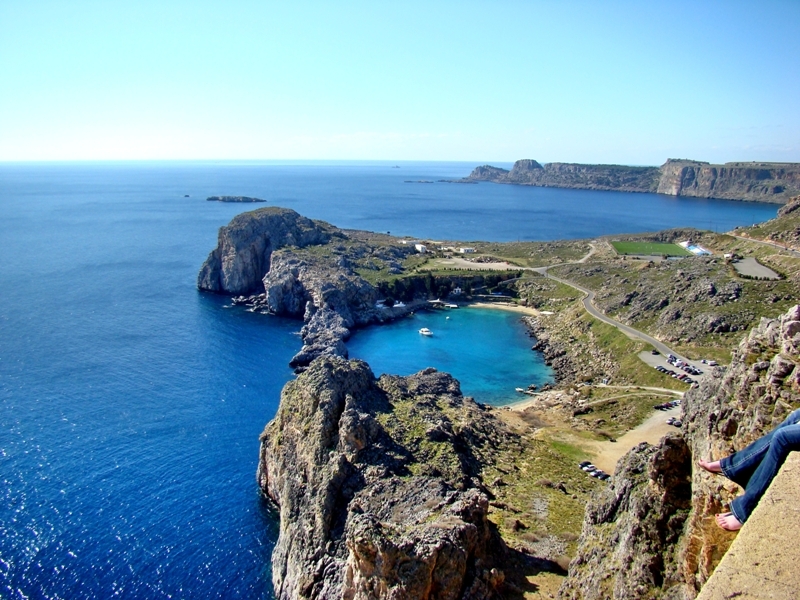 Today I want to share a photo from Lindos, Rhodes. Lindos, Rhodes. Photo ©Leon Mauldin. Rhodes is mentioned in Acts 21:1 in the context of Paul’s return from the Third Missionary Journey. Today it is one of the Greek islands. Remember to click on image for higher resolution. This entry was posted on Thursday, August 26th, 2010 at 3:15 PM and is filed under Bible History and Geography, Bible Study, Travel. You can follow any responses to this entry through the RSS 2.0 feed. You can leave a response, or trackback from your own site.